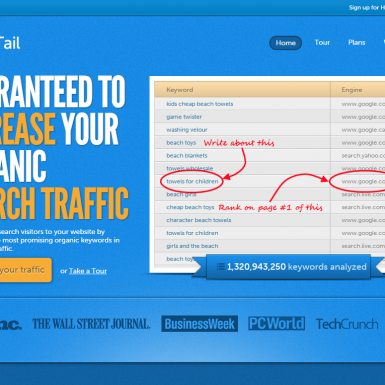 Hittail does 2 things really well: 1) Helps get around the “not provided” problem by showing your traffic-driving keywords 2) Offers keyword suggestions that other tools don’t show. 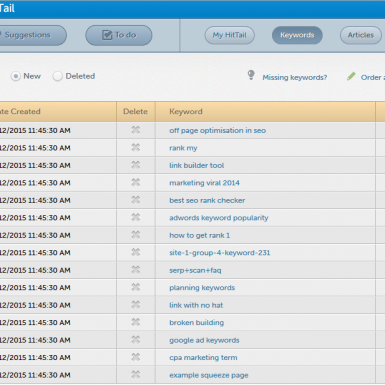 Hittail analyzes your website, reveals what keywords currently drive you traffic and suggests more related long tail keywords based on that info. 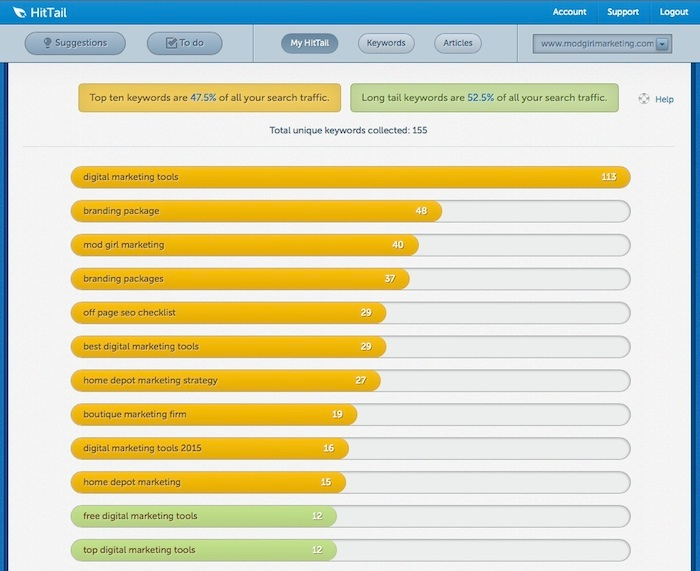 All you need is to write content based on those keywords and see your rankings and authority getting improved. 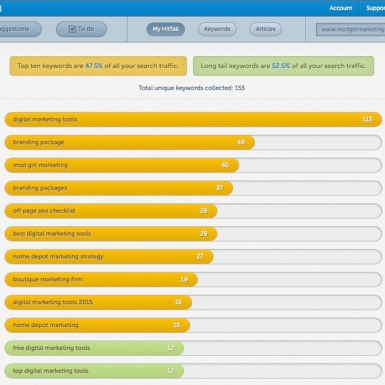 It lets you see the lowest competition long-tail keywords you can easily rank for. You will know exactly what content to create to do well. Incredibly helpful! 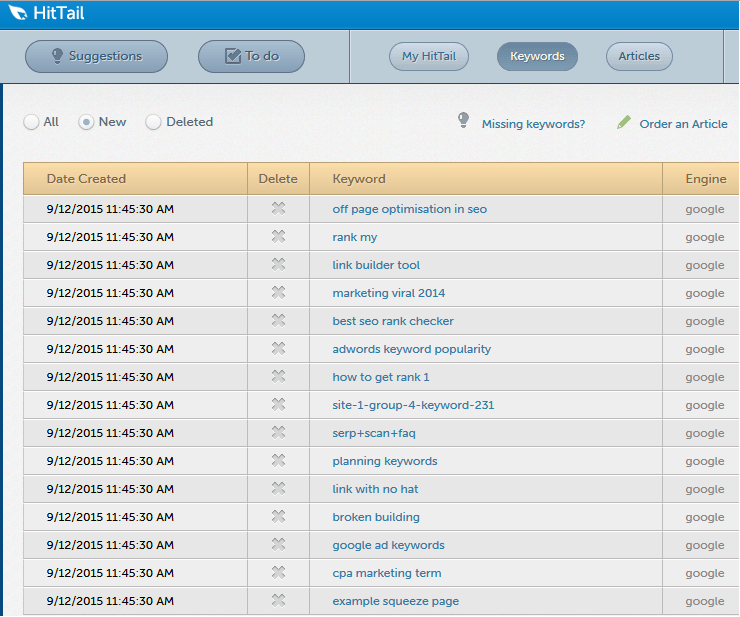 HitTail provides only the data you really need: the top 10 keywords and suggested long-tail keywords with volume (no segmented demographics). That’s enough to know what you should be writing about. 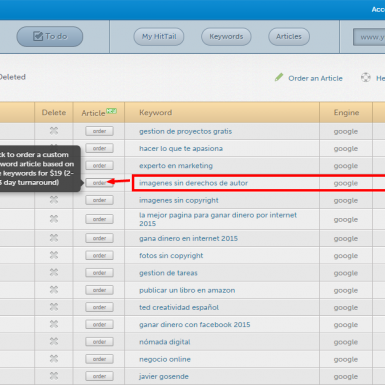 It is one of the best keyword suggestion tools. HitTail offers 1 year free of the $19.95 plan if you send a link to your blog, get approved and publish a review of Hittail.